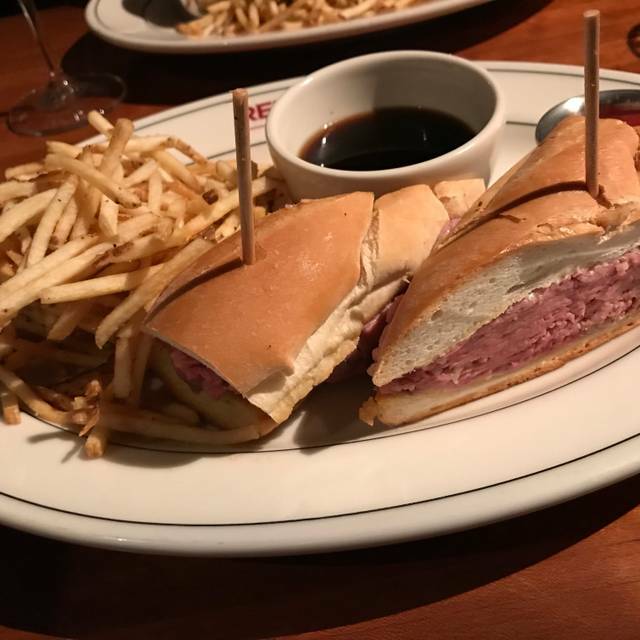 You must make reservations at least 5 minutes in advance of the time at J. Alexander's - Redlands Grill – Tampa. Please pardon the construction across from us. We are open with our normal business hours. The experience was outstanding. The restaurant was very clean and neat as well as the staff. We were greeted with smiles everywhere we turned. The food was phenomenal! Had the prime rib and it's one of the best that I've ever had. The Nyo mac and cheese is out of this world. Our server Carlos made us feel like we were the only people in the whole entire restaurant. He catered to us and went above and beyond to provide premiere service. We also received a card for our anniversary hand signed by each individual . Thank you all! This is a fantastic location for a business meal. Food is great, service is very professional and fast. Nice menu, steaks expensive for the style restaurant it is. Salads large. Friends had burgers which looked large with fries that were thin and hot. Wait staff very attentive. Will return. came from the Start where it took about 15 minutes to drive, seems to be close to TPA. Please be sure to ask for a quiet room. Our night instead of nice and peaceful, had to put up with a Bachelorette party. We stuck it out but other couples moved. Prime rib was fantastic along with the side dishes. Tried the daily special appetizer which was also full of taste. Added a glass of wine to the mix and it was a great night. Service was attentive yet not overbearing. Noise level fluctuated. The temperature of the restaurant fluctuated as well at times. 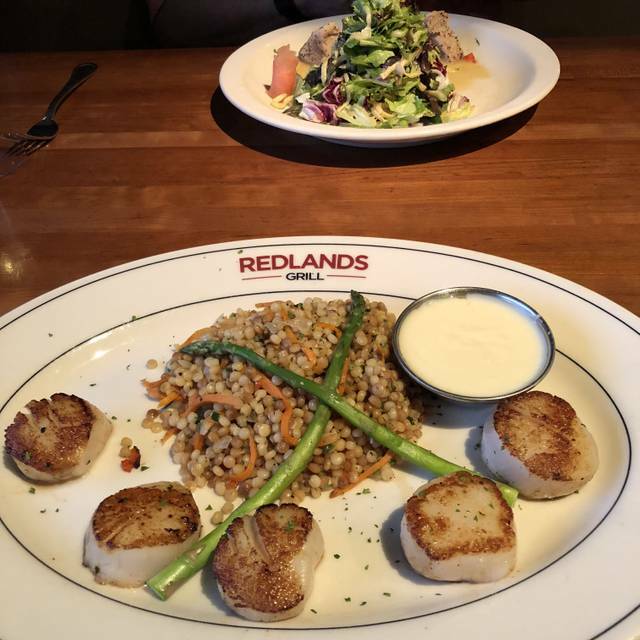 My friends and I enjoyed Redlands Grill. It was highly recommended to us. The ambiance was soothing and the food was great. Our waiter was attentive and friendly. We all agreed we would return again. Food was delicious but main course was brought to the table way too soon. We were eating our salads and had to juggle plates. Timing! We took our salad home and will enjoy it tomorrow. We visit this location often and LOVE the food. Service was just average this particular evening. Due to basketball tournament, noise from bar was over-flowing into dining room causing less-than enjoyable evening. 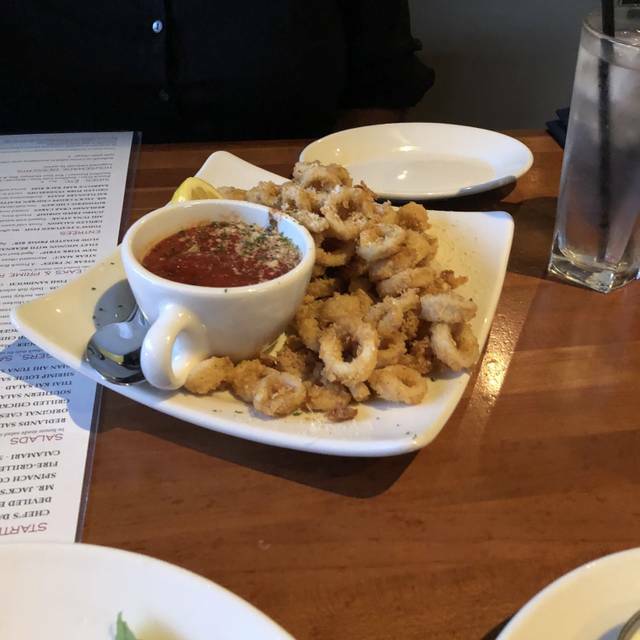 The restaurant was very nice, and the food was excelkent!! Great food and service. Suggest a reservation if on a weekend. Loved this place. Great service from the second you walk in the door. Seated right away with our reservation. Wait staff knew their stuff. Checked on us often. Meal was great. Food is excellent. The Crab Cakes are awesome almost 100% crab meat. Service from Hayley was professional and friendly. Staff is terrific always friendly and courteous. We have been here multiple times and have never been disappointed. It is a little on the pricey side. 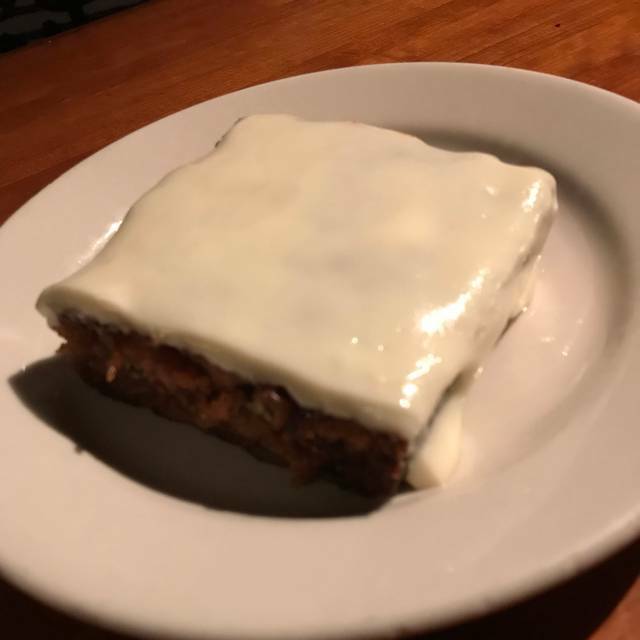 We will continue to return especially for the Crab Cakes and the amazing warm iced carrot cake for dessert. I love the ambiance and it is good for any occasion. Everyone was professional, friendly and courteous. Our waitress was attentive without being intrusive or disruptive and the food and drinks were excellent. It doesn’t get any better than that! Asked that courses not be closely or at same time, that did not happen. App's and Salads came together with Entre' before we finished. Steaks not cooked as ordered. Artichoke (roasted) we're over cooked. Our server was amazing and gave us a free dessert since we had to leave quickly and couldn’t eat one there. The crab cakes are amazing and the place is just wonderful inside. Great atmosphere! The filet was very tough and over cooked. Trout was dry and also over cooked. Need help in the kitchen. Otherwise service was very good. J. Alexander's must be doing something right- it is always busy, and always good! Our server was great- just the right level of attentiveness. Our food was prepared as ordered, which means low salt for me. The kitchen is very helpful. Try the tuna steak- yummy! Great food as usual. The chocolate cake with home made ice cream is the best. Always an enjoyable meal! 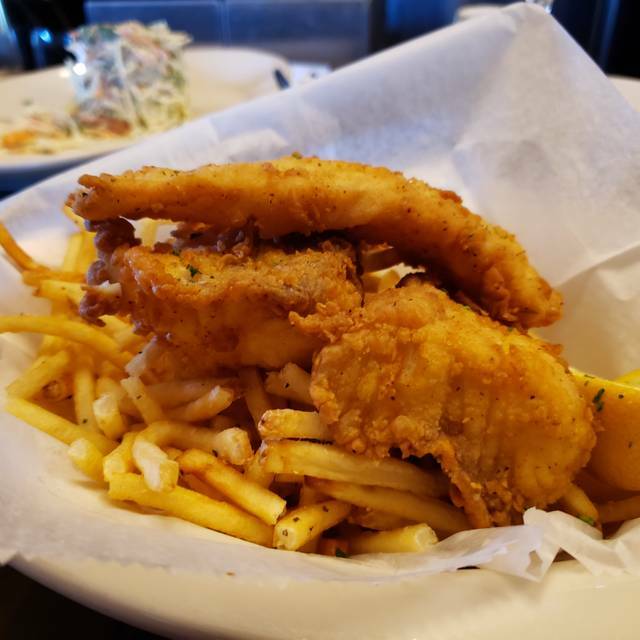 Specials are always fantastic! Good value for your money. My tuna steak was way under cooked. The staff was gracious though, they took it off the bill, apologized and offered me a free dessert. Sometimes these things happen so I think we'll likely give them another try sometime. 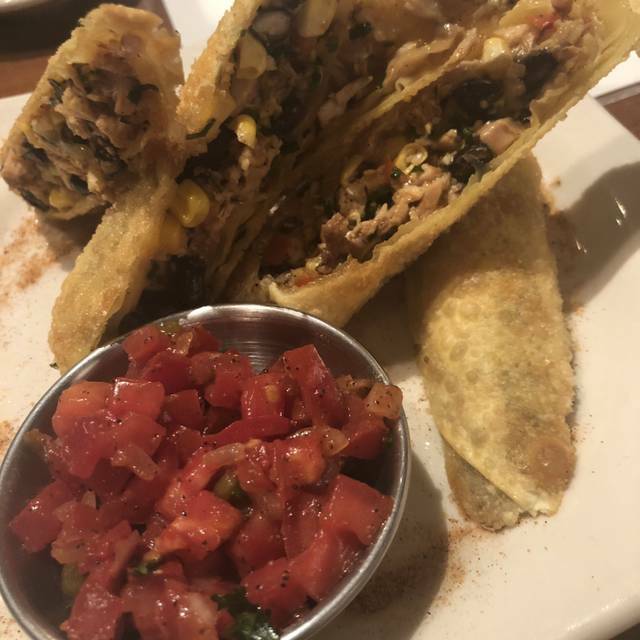 Great food & service! Wish they had more specials. Over the years, we have enjoyed this place every single time. 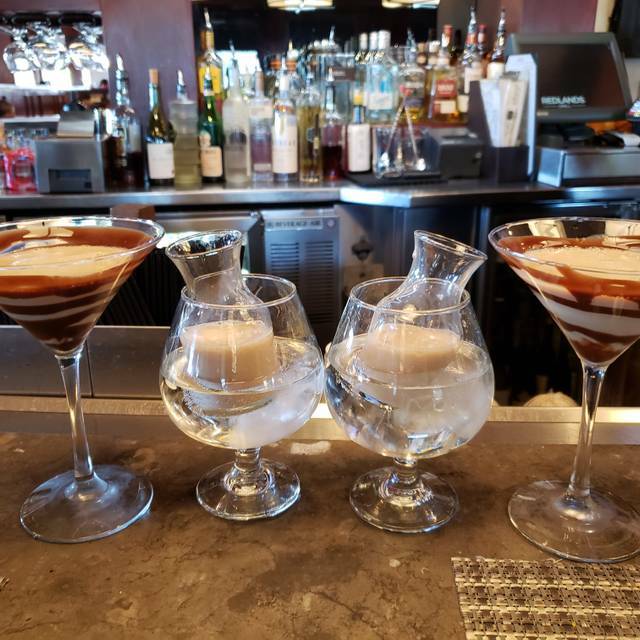 Food, service, and ambiance are always consistent. Great value for the price. Plus the location is SO convenient for meeting friends traveling through the city because it's at a major interstate intersection. Great visit. Much better them the last. 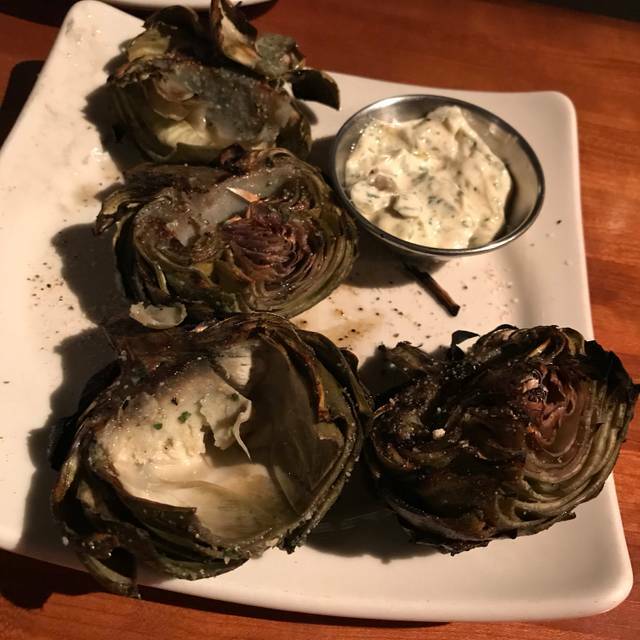 Love the artichoke appetizer and they made it easier to eat! The food was fantastic, the ambiance was great, however, the booth we were sitting the waitstaff had their register next to our booth, some of them were talking fairly loudly while my husband and I were trying to talk to each other, to the point that they were sounding like they were yelling each other. Not sure what was going on. But won’t let that stop us from eating their again! Awesome company and great food and drinks! I had a wonderful experience! We all had salads and we all liked ours. Food excellent....service excellent..atmosphere perfect for a quiet dinner. Food and service were terrific. They made a point to acknowledge my mom's birthday, which was much appreciated. The whole staff even signed a card for her. Very classy touch. Food as always was great. Our waitress was terrible as if waiting the tables was an inconvenience to her. We were looking forward to dessert but she came by with the check and walked away. We only saw her three times, when she took our order, brought our drinks and then when she brought our check. Highly unusual for this restaurant as we always have had excellent service. We definitely will return but will avoid that server. My wine had something floating in it. I asked for a new one. She inspected the drink and then she stood there and asked for me to point out what was in it before taking it back. She acted like we were in a cheap bar and I just wanted another drink. I never drank it and asked for the same thing.